Manchester United continue to hemorrhage valuable Premier League points in its many Old Trafford draws. Why, however, is not the pressing question. United aren’t losing matches. That tells you José Mourinho is instilling the side with a strong fighting spirit. I agree with Rio Ferdinand, who said on BT Sport’s post-match review that this squad was a definite improvement over Louis van Gaal’s even though results don’t reflect. For those whose only metric is results, I also read an interesting ESPN article by Sam Miller, on the new Major League Baseball season. Miller, a stats aficionado, profiled several interesting computer simulations for the prospective season, more than once comparing instances wherein teams finished with the same number of wins, topping their division in one, bottoming out in the other. The lesson being results don’t tell you everything regarding a team’s quality. Luck is not an excuse for United, either. It was unfortunate Zlatan Ibrahimović’s tap-in was disallowed when he was in fact onside. Yet, it was a much tighter call than Henrikh Mkhitaryan’s Boxing Day scorpion kick from which United wrongly benefited. 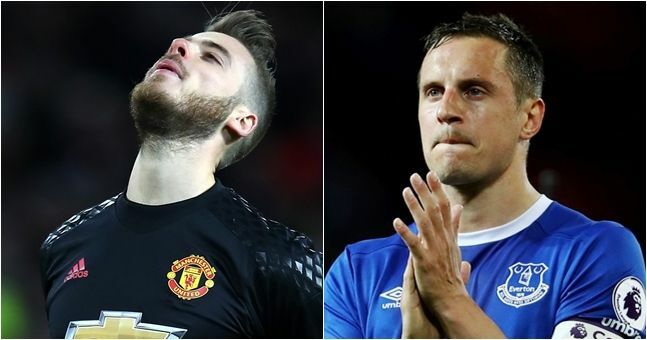 Injuries and suspensions have hit United, as they’ve hit every other top club save Chelsea. The Blues also field a regular starting XI who all had Premier League experience entering the campaign. As do Liverpool, Tottenham, and Arsenal. Only United and City have brought in key players from other competitions. 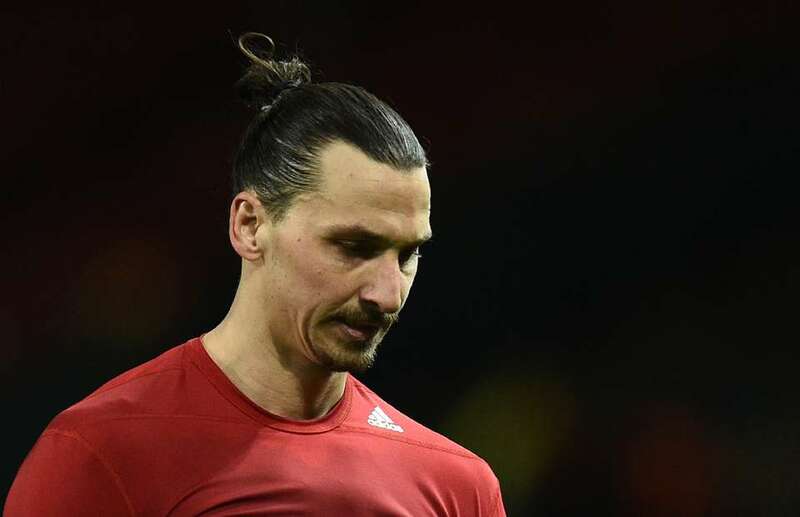 Ibra struggled to score early on. Mkhitaryan and Paul Pogba have yet to acclimate. Only Eric Bailly appears fully adjusted to the Premier League game. His support for Marcos Rojo against Romelu Lukaku on Tuesday evening was perfect. Yet, it remains all have lost time to knocks or disciplinary action. United’s heavy dependence on Zlatan has been well documented. 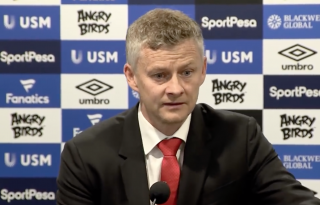 The Swede himself has noted the problem, coming out after the Everton match with a cryptic appeal to United board’s to recruit support in the summer. Or else. Probably I have one, two, three years. So, everything depends on what you want and what the club wants. What the vision of the club is. Because I said from day one I didn’t come here to waste time. I came here to win. If you want to win bigger, then you have to create bigger. At Paris Saint-Germain, Ibra had Edinson Cavani. At Milan, it was Robinho. This season at United, Marcus Rashford and Anthony Martial must remind him of Inter with Mario Balotelli and Adriano, only that side won the Scudetto. The point is he knows this United side was never anything but one in transition. Only fools came into the season believing a top four finish would be a cakewalk. Ideally, United’s twenty-match Premier League unbeaten streak would contain more than ten victories. Still, no club has lost fewer league matches this season. 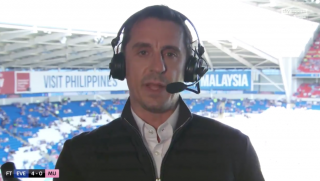 Only Tottenham holds level with United’s three defeats. Supporters can choose to see disappointment or a solid foundation for the future. If you like, you can keep wondering why United don’t convert its chances. 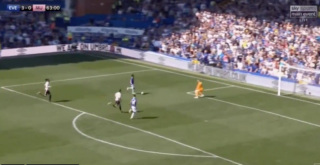 Toffees keeper Joel Robles again stood tall for an overmatched opponent. He made two critical saves, from Ander Herrera’s volley labeled inside the left post and Daley Blind’s curling free kick destined to slide inside the right. 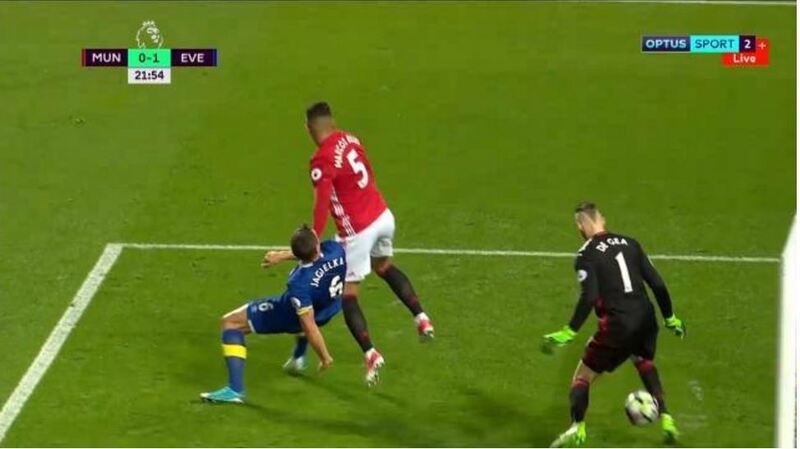 He would have likely stopped Luke Shaw’s last-ditch effort had Ashley William’s inexplicable brain fart not produced a penalty for handball. The woodwork on Old Trafford’s goals also betrayed the home side again, twice on the night. United’s fortunes will revert to the norm. Those shots will start going in, if not this campaign, then next. Rather, it’s goalkeeping at the far end which is becoming a concern. For a second match running, David de Gea looked preoccupied between the sticks. Against Bournemouth, he let a shot go through his hands, the woodwork coming to his aid rather than an opponent’s for once. On Tuesday evening, he let Phil Jagielka’s Ibra-esque judo flick slip through his wickets. Yes, Marcos Rojo impeded his view but the Spaniard was visibly surprised when the ball came his way. He had switched off when he should have been prepared for the worst. 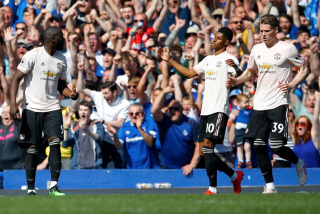 Later in the match, he twice failed to come out to clear dangerous balls, putting Rojo at risk with a hulking Romelu Lukaku breathing down his neck. The pair argued even more visibly than Lukaku and Williams for the visitors. Rumors Real Madrid are again interested in De Gea have surfaced. Whether his head has been turned or he has just begun to relax behind a much improved back four is irrelevant. José Mourinho needs to challenge his number one in the same manner he has Luke Shaw. If that means putting Sergio Romero in goal against Sunderland, so be it. The Madridista is unquestionably world class when on his game. At the moment, he is not. United must be grateful for his past contributions which earned the side many undeserved points under David Moyes and Louis van Gaal. That does not mean the club can afford to see him cost it vital points now.